83. Volunteer at conservation organizations and governmental agencies. Inventories and surveys of wildlife such as birds, frogs, and plants are essential for assessing the habitat quality of an area and setting priorities for habitat restoration and other conservation projects. Some, like the Breeding Bird Survey, take place annually, providing a database that indicates changes in populations over time. Others may take place several times a year to get a baseline assessment of the species composition of an area or to augment past records when developing an area bird checklist. 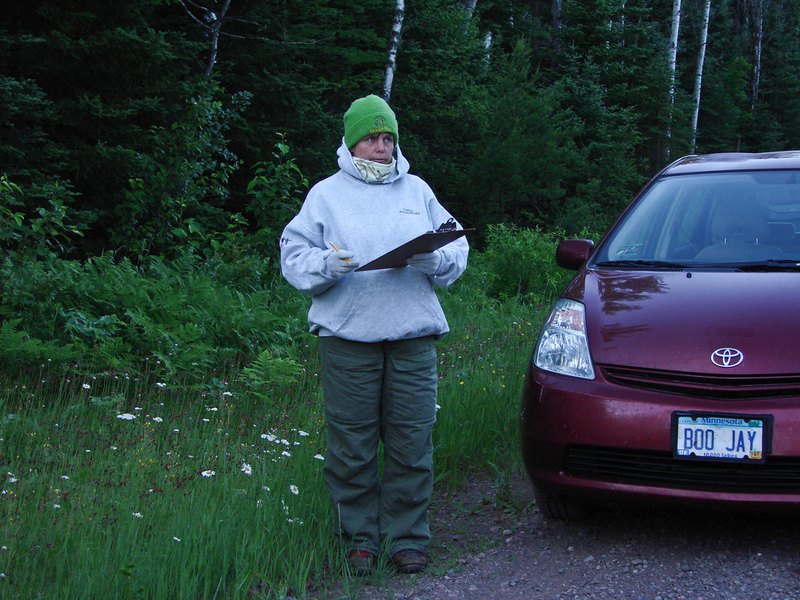 Some surveys, such as various loon and crane watches and frog counts, focus on a single species or group. Others, such as the Breeding Bird Atlas, require an intensive search for evidence of every possible breeding species; these surveys may be conducted from late winter through late summer for two or three years. Breeding Bird Atlases are normally produced on a statewide basis and require the cooperation of many people to produce meaningful results. Virtually all these surveys are conducted by experienced volunteers. In most cases, these surveys require participants to have a fairly high level of expertise, with skill in identification by both sight and sound. Ornithologist Bill Evans of Ithaca, New York, has developed a technique of accurately surveying nocturnal migrants by setting up inexpensive microphones on fairly quiet rooftops and recording the sounds on eight-hour videotapes or directly onto computer hard drives. He has also developed the software needed to analyze such recordings, which is available for free on his website www.oldbird.org. This website provides all the information you need to construct an accurate and inexpensive directional microphone in a waterproof housing, conduct the surveys, and analyze and share the data. It also enables volunteers to take part in networks to use their flight call data for environmental education and to promote the understanding of nocturnal songbird migration. Even novices can participate, because the software not only teaches you how to identify flight calls but also analyzes the recording itself. Birders of all levels of expertise can volunteer to participate in [Christmas Bird Counts](http://www.audubon.org/conservation/science/christmas-bird-count0, the Great Backyard Bird Count, and other citizen science programs. And anyone can report bird sightings to eBird and to state and local ornithological societies. Some local migration watches also make use of volunteers. 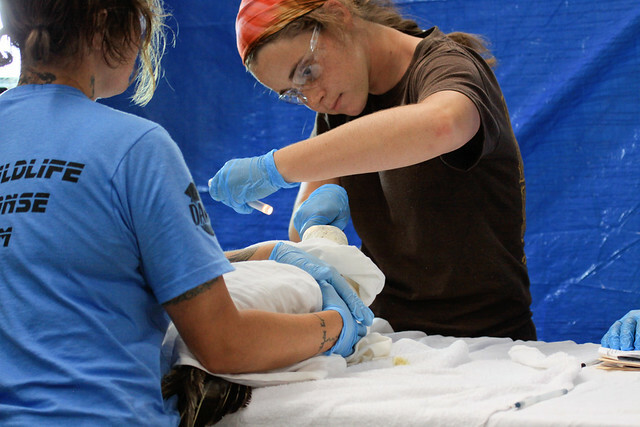 Many wildlife rehabilitation centers depend on trained volunteers to help feed and care for injured and orphaned wildlife, clean cages, and pick up injured animals. Some habitat improvement projects, such as native seed collection, removal of exotic vegetation, and other restoration work, welcome volunteers. Projects such as blazing and maintaining trails; erecting viewing blinds, platforms, and information signs; and basic cleanups don’t require any expertise but do require time and labor. Some local bird clubs and state ornithological societies keep track of volunteer opportunities for birders, as does the American Birding Association.